Over the past week there have been a number of protests in West Bank Arab towns over a new social security law. 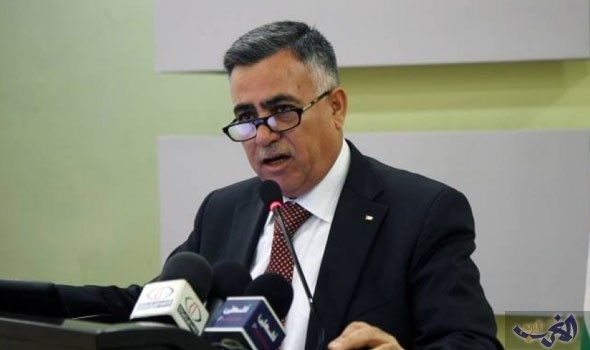 Late last week the Palestinian Authority Minister of Local Government, Hussein al-A'arj, shocked all Palestinians by referring to the leaders of the protests in Hebron as being "settlers from Kiryat Arba." I have never seen such anger in Palestinian Arab media over an insult. Apparently you can call someone's mother a whore before you can call someone a "settler." Fatah in Hebron demanded that al-A'arj be fired and said he would not be allowed into the city. Prime minister Rami Hamdallah ordered an investigation. Under pressure, al-A'arj issued an apology: "My family and my dear people, our heroic people, especially in the province of Hebron. I declare to you, as your brother, Hussein al-Araj, the minister of local government. The statements I made were specific to a particular person and came in the context of public concern and the social security law. This was only meant to respond to one single person who abused, harassed and threatened the government and senior officials....If you understand my words I offer my apologies for each individual and family and the family of my family, and I regret that my words have been twisted by those who have other agendas." Which is not a very good apology. The ministry issued a contradictory apology, saying that he was referring to a number of protesters, not just one. And no one is forgiving him for his unprecedented insult. Activists in Hebron are threatening to expose embarrassing information about him unless he is fired. The Palestinian NGO Network is demanding he be fired. So does the PFLP. Editorials are calling for his dismissal. It doesn't help that al-A'arj means "the lame."